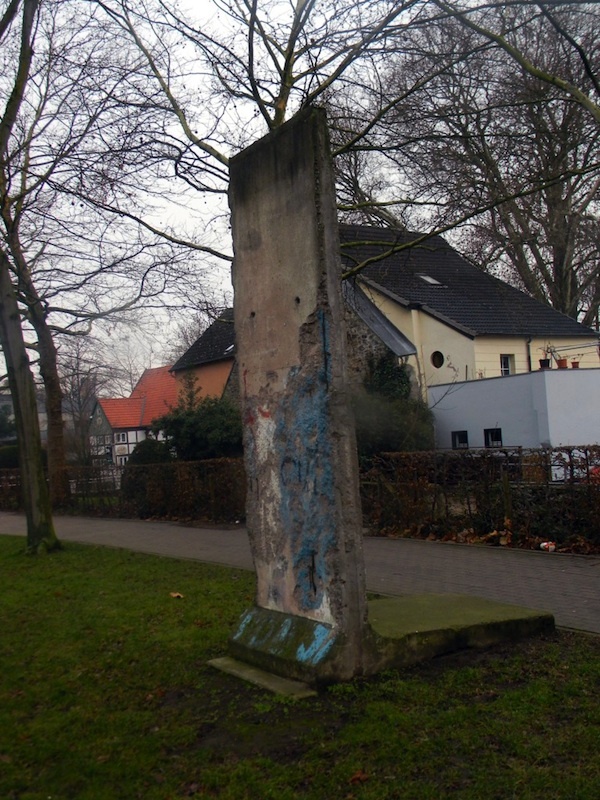 Peter Koch, machine factory owner in Berlin, secured two Wall segments just after the fall of the Wall. He donated one of them to the city of Herford, where he has built a few residential estates for senior citizens. At first, the City of Herford had trouble with finding a suitable location. 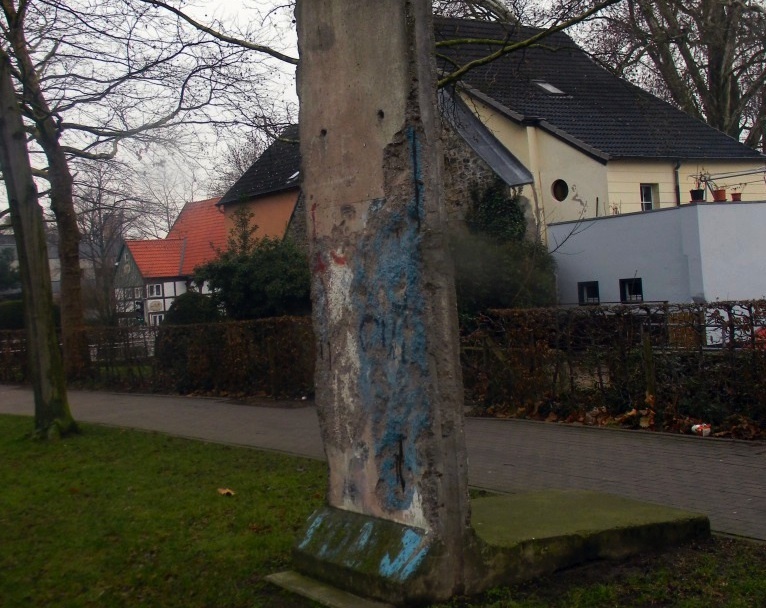 Finally, it was erected at the side of a innercity four-lane ringroad, the Berlin street.